Plastic Bag Bans – Feeling Good About Ourselves, But Are We Making a Difference? – Impose enormous costs on California’s consumers, likely over $1 billion in both direct and indirect costs (such as time spent washing reusable bags). Morris goes on to make a compelling argument as to why these retail bag bans won’t necessarily achieve their stated goals. Morris also seeks to minimize the concern by those, like me, who point out the risks from increasing amount of plastic debris floating in the ocean, refuting the claims of a large “garbage patch” in the ocean and that, of the plastic debris found in the oceans, plastic bags pose little harm. Citing to NOAA research, Morris argues there is no such thing as a North Pacific “garbage patch” as some have claimed. And while the term “garbage patch” is a misnomer, in that there is no municipal landfill 10 feet deep floating in the middle of the Atlantic, NOAA’s research does not discount the existence of large amounts of plastic debris accumulating in our oceans, nor does it diminish the risks of this debris to the marine environment. Personally, I think Morris may too quickly dismiss the adverse effects of plastic bags on sea life, and turtles in particular. More research is needed, but preliminary studies, for example, by Dr. Kathy Townsend from the University of Queensland suggests that nearly 1/3 of the sea turtles she has studied in Australia died from eating trash, such as plastic bags. As Morris rightly points out, the greater risks to marine sea life come from other debris, like abandoned or discharged fishing nets and gear (a/k/a “ghost nets“) that kill sea birds, whales, dolphin, sharks, and turtles in much larger numbers. See this recent story by Richard Harris of NPR, Whales, Dolphins are Collateral Damage in out Taste for Seafood. And I’d be remiss not to point out the great work of my friend, Kameran Onley, who worked in the Bush Administration with me, and now heads The Nature Conservancy’s U.S. Marine Policy. Kameran has contributed tremendously over the years toward promoting marine conservation and better approaches to sustaining our oceans’ resources and marine wildlife. You can check out Kameran’s and TNC’s work here. 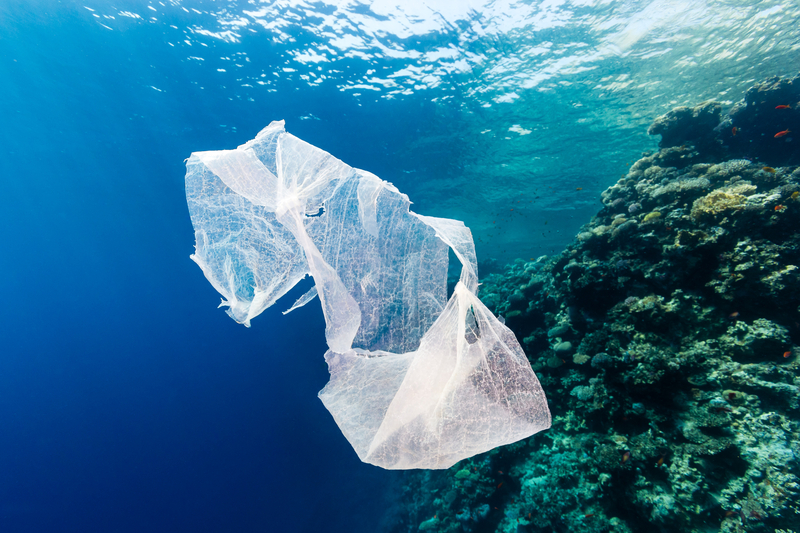 So, what are we to make of these conflicting narratives and data over plastic bags? I think Morris is correct that plastic bag bans will have fewer positive environmental effects than those championing their cause claim and, in some cases, may have the opposite effect like requiring more water to wash those reusable cloth bags to reduce the human risks of food-borne illness. This can hardly be viewed as a good outcome in water-starved states like California, where drought is creating enormous strains on businesses, households, agriculture, and even the natural environment. Unfortunately, so much of our current environmental movement is based on “feeling good” about our efforts and overriding desires to make a difference. Feelings however can never displace the value of objective facts. Notwithstanding his arguments, a larger point that Morris could have made more forcefully is the need for greater public awareness of the environmental harms caused by plastics writ large when they are not properly managed and disposed of and the need for a more sustainable approach to commercial packaging, such as those common sense practices promoted by the members of the Sustainable Packaging Coalition. Should then Morris’ study lead us to jettison already adopted bans. I don’t think so. While such bans may have little immediate, positive results, they are on balance fostering greater awareness of an often unseen, under-appreciated yet growing human footprint on the environment. But I also wouldn’t begrudge a community that, rather than falling in line to ban plastic grocery bags, found other ways to sustainably manage the ever-growing problem of plastic pollution.